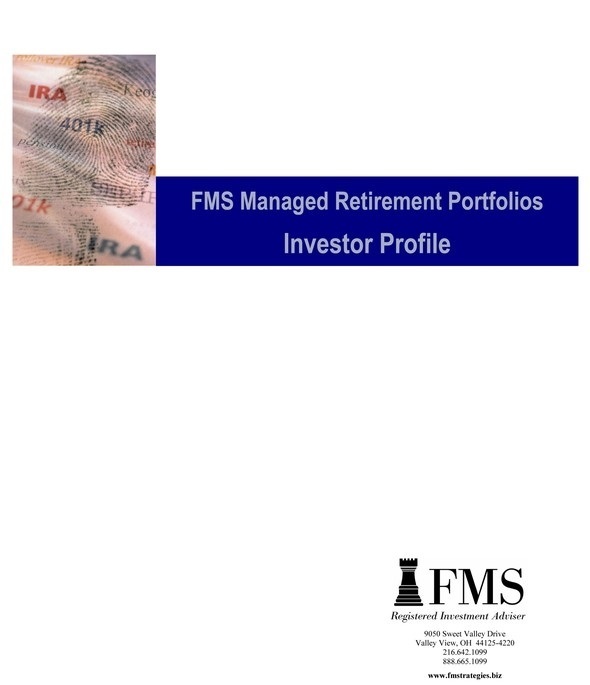 Retirement Plan Documents | Financial Management Strategies, Inc. The Investor Profile is designed to help you determine your attitude toward specific types of investments, your willingness to accept the risks that are inherent with any investment, and your ability to tolerate market volatility. Based upon this profile and other plan information provided, you can choose investments that are appropriate for your situation. 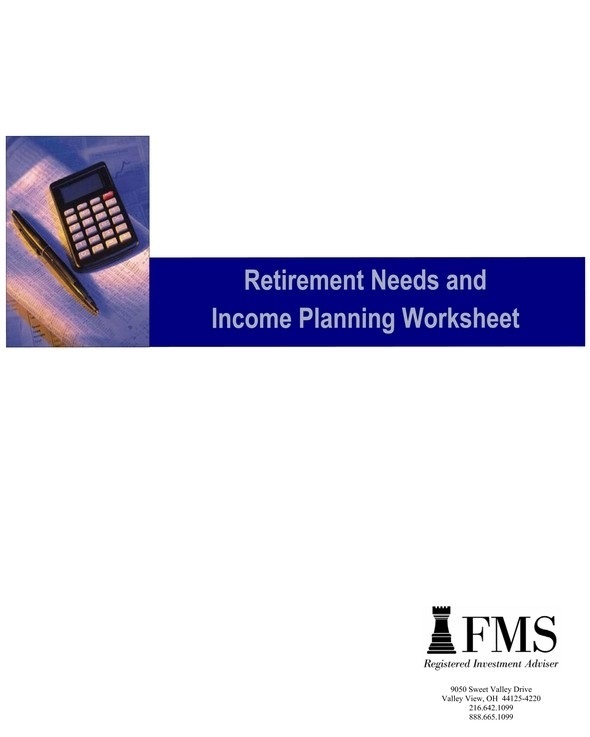 The Retirement Needs and Income Planning Worksheet will help you determine how much income you will need at retirement, your sources of income, and how to plan in order to reach your income goal. 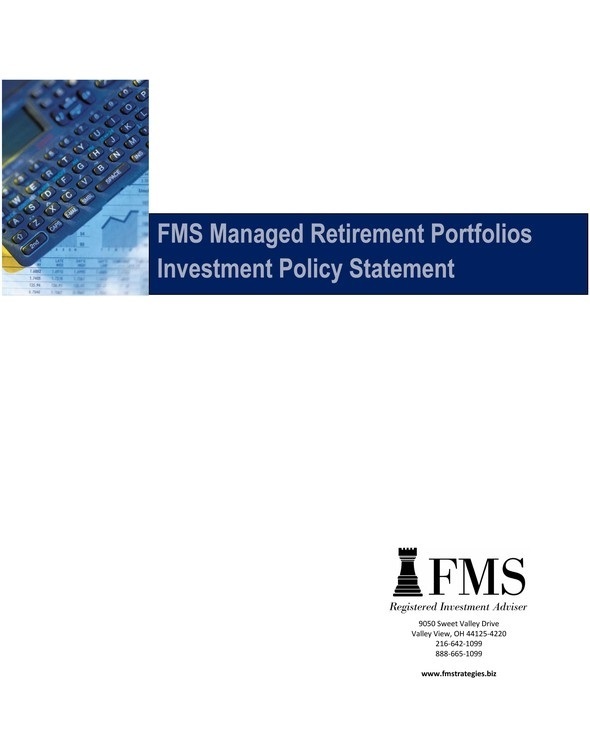 For the portfolios managed by Financial Management Strategies, Inc., Registered Investment Adviser, the Investment Policy Statement outlines the asset allocation strategy, fund selection criteria, and management policy for each of the portfolios available under your Plan. Securities and advisory services offered through Cetera Advisor Networks LLC, member FINRA, SIPC. Some advisory services offered through Financial Management Strategies, Inc. (FMS), a SEC registered investment advisor. Cetera is under separate ownership from any other named entity.